The first look at the upcoming season/series of Doctor Who is here! And it more like a glimpse rather than anything else with a heavy emphasis on teaser than trailer. Seriously, watch it for yourself! The teaser is only 16 seconds long. However, releasing really short teasers seem to be the trend, so I do not really have a problem with it. The only thing it really shows is the silhouette of Peter Capaldi's Doctor inside a burning TARDIS. At least we now know for certain that the new season is coming in August and not September. What do you think of this short teaser? Please let me know in the comments, and since this teaser is so short, I also posted a trailer for Marvel and Disney's first animated feature, Big Hero 6, which you can click to check out. Also, please check back Wednesday for my first video trailer review of Interstellar's trailer. 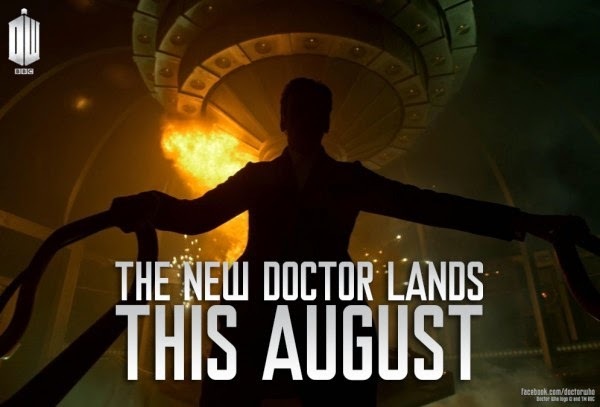 Also, thanks to Tegan for first notifying me of this Doctor Who teaser. Ant-Man Director Edgar Wright Departs from Film! Star Wars Ep. 7: First Behind the Scenes Look!